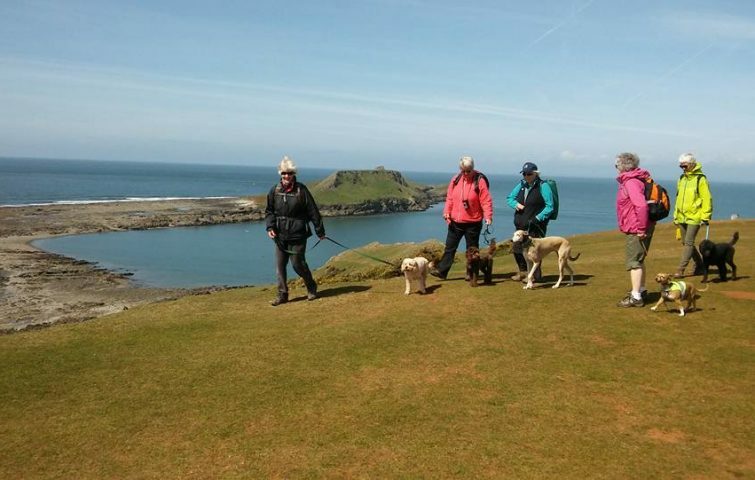 The Gower Peninsula was the first area in the UK to be awarded Area of Outstanding Natural Beauty status, with The Gower Coastal Path providing a superb way to experience the varied landscape this area has to offer e.g. limestone cliffs, sandy bays, woodland, moors and open hillside. 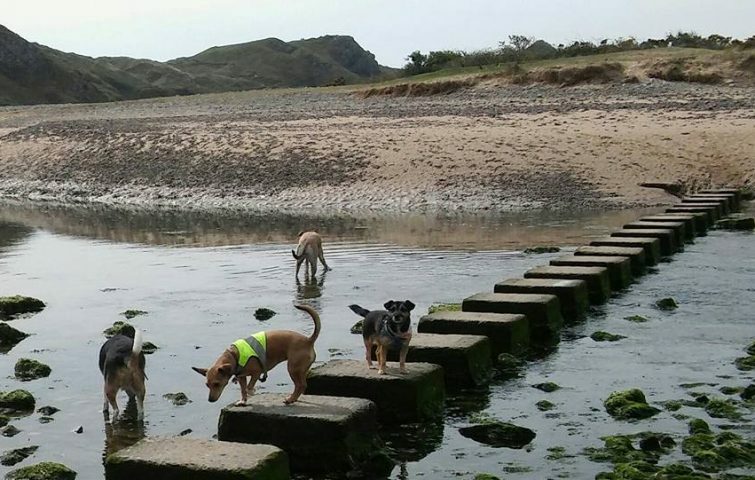 The Gentle Gower holiday is based at Oxwich Bay, an ideal location for our dogs welcome holidays. The hotel is located just 10 metres from the beach and our walks will mainly be from the hotel, through such mixed delights as nature reserve, woodland, cliff tops, open fields, dunes and sweeping sandy beach. On one day we may drive to the breathtakingly panoramic Worm’s Head area at Rhossili (transport not included). The nearest train station to Oxwich Bay is Swansea, about 15 miles away with good bus connections to near the hotel, so you can use public transport to reach this somewhat remote but beautiful destination. For this holiday we use very good quality static homes which are ideal for owners and dogs alike. Meals are taken at the Oxwich Bay Hotel. Price includes: 4 nights full board in ensuite static homes ; no supplement for single occupancy.